Are you a lover of garlic? 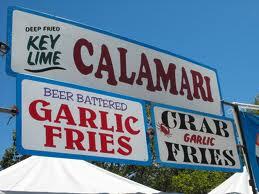 If so the Gilroy Garlic Festival is for you! The annual event is scheduled for this weekend July 27-29. Come hungry because there will be plenty of amazing garlic infused food for you to choose from. Be ready for a great time for the whole family. Music, children's play area, arts and crafts, cook-offs and more. Visit their website to purchase your tickets in advance. Gilroy Garlic Festival.